The Birmingham Small Arms Company began motorized vehicle production in 1907 with some prototype cars. Motorcycles arrived in 1910 and would become the company’s signature product through the 1960s and into the 1970s. BSA motorcycles are some of the most classic British bikes from the era. Early BSA cars were kind of a mess and it wasn’t until their fourth attempt at automobile production that they finally got it right (or as close to right as they would before realizing that maybe they should stick with motorcycles). The Scout was introduced in 1935 and used a 1.1-liter straight-four engine making 9 (RAC) horsepower (which I think is around 30hp in today’s terms). The Scout was available in six series through 1939 and established BSA as a builder of reliable automobiles. Unfortunately the War killed any hopes of them continuing after the Scout ceased production. It’s a small, light car with really good looks. This one was a basket case when it was found in the 1970s and eventually restored to great condition. It’s a cool little car from a company better known for their two-wheelers. It should sell for between $10,000-$13,000. Click here for more info and here for more from Bonhams’ Oxford sale. 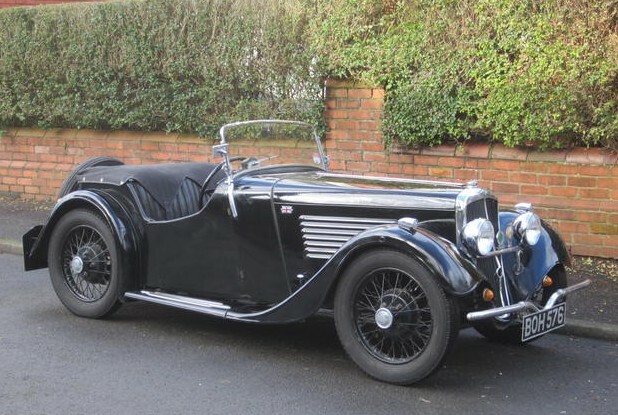 This entry was posted in Uncategorized and tagged 1935, auctions, Bonhams, bsa, cars, classic cars, scout, series i by classiccarweekly. Bookmark the permalink.